How to ask learners for feedback? 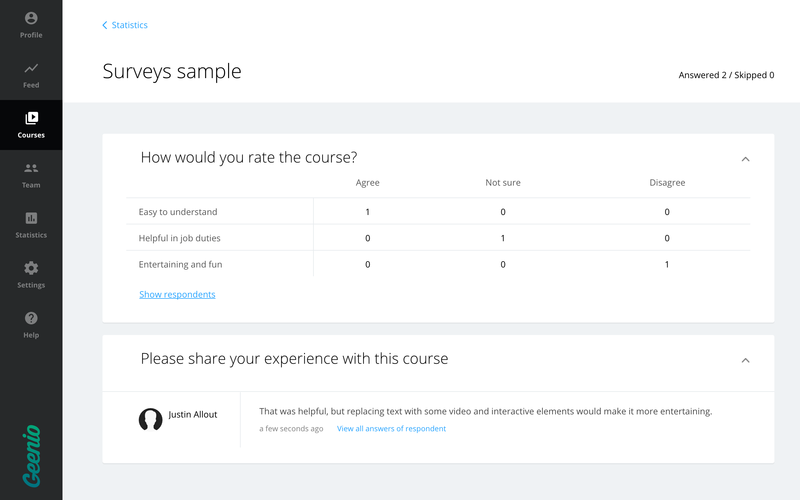 Surveys help you collect feedback about your courses. 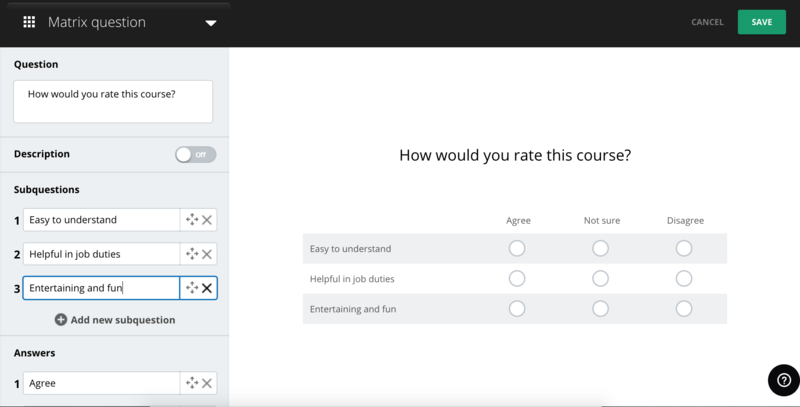 You can track the responses of users, either anonymously or not, see if any survey questions were skipped, and also see the responses of an individual user to all questions or, vice versa, the responses of all users to a specific question. 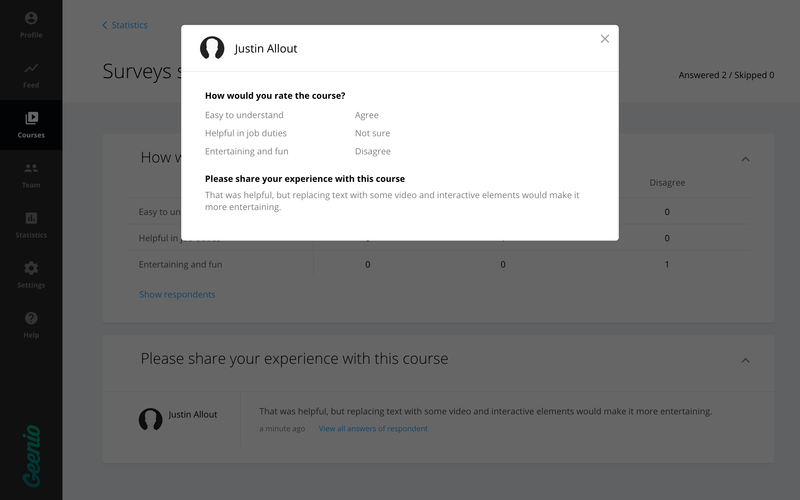 Surveys have only one connection (default), which you can link to any other element in the course. 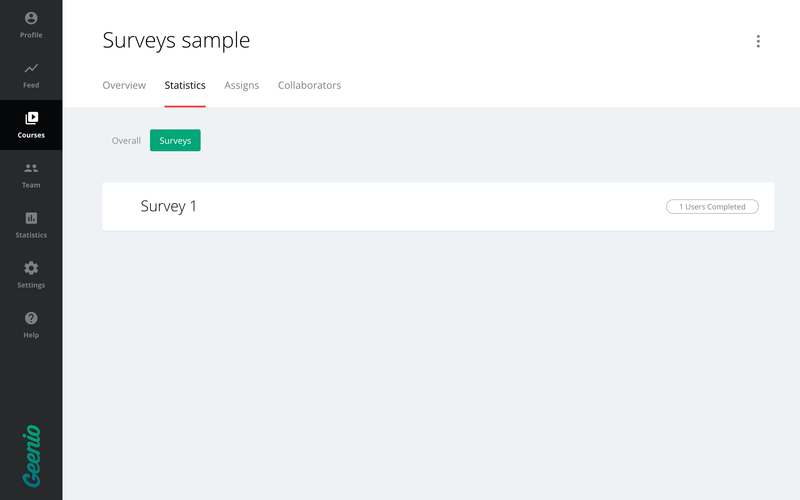 Obviously, there is no such thing as a "correct answer" to a survey question, but it is possible to make questions mandatory, so that the respondents will have to answer at least some questions in order to proceed further.